There a few joys in life that are as big or as simple as the perfect cacio e pepe. 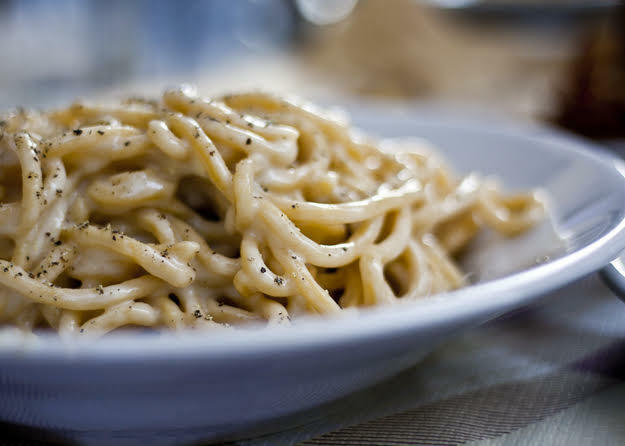 Cacio e pepe – made with local pecorino cheese (cacio) and freshly ground black pepper (pepe) – is a classic Roman dish. The pasta has humble origins. “Pecorino” comes from “pecora” or sheep in Italian. The hard cheese is made of ewe’s milk, and was therefore pretty popular with the shepherds who were tasked with watching these sheep in the hills of Rome. The great thing about pecorino is that it is aged and travels well – shepherds could take it with them when they set up to follow their herds. Pepper kernels? Those are also pretty durable and light. Pepper comes with added bonus of introducing heat into any dish – a pretty important characteristic when you are sleeping out in the cold. Finally, pasta. Pure carbohydrate and easy to make. These three ingredients were all the shepherds needed to carry to be able to create a dish wherever their herds stopped for the night. It is the perfect simple meal: salty, peppery, cheese and hearty. The Roman dish is so simple, in fact, that it is easy to mess up. The ingredients – pasta, cheese and pepper – are painfully basic, but the technique of swirling the still hot pasta with some pasta water to melt the cheese into a simple but perfect sauce, takes a bit of speed and a lot of practice. When done well, the three-ingredient dish can be sublime. Want to taste it for yourself? 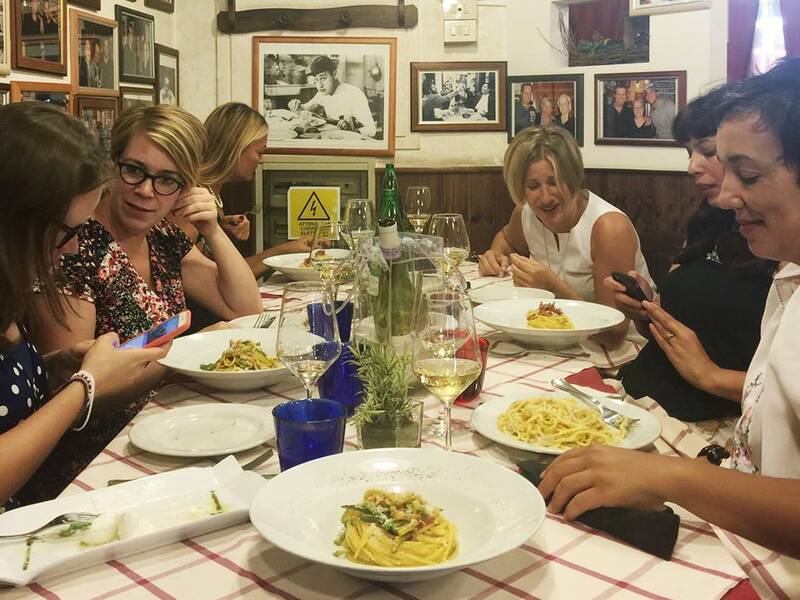 I spoke with cookbook authors, food experts and Rome insiders to find out where they eat cacio e pepe. When it comes to Roman pasta I am an Amatriciana girl, but my husband Mark. He only ever orders cacio e pepe. He has tried versions that are swirled in a wheel of parmesan or dusted with black truffles but what he loves best is the simple classic version that he affectionally refers to as Macaroni and cheese. Our family’s pick when we are craving traditional plates of pasta is da Nazarene a very Roman, very old fashioned, brightly lit, place one block from Termini. 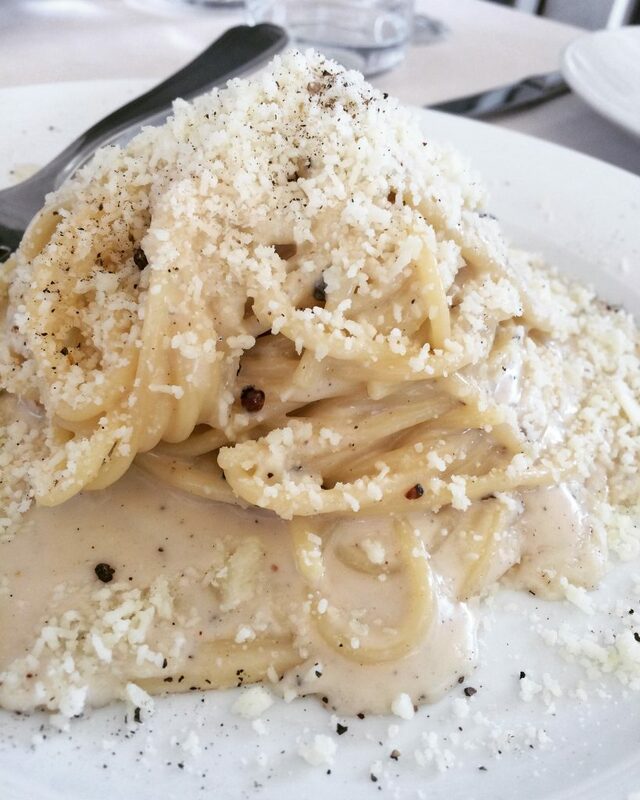 Osteria dell’Angelo is one of my favorite places for cacio e pepe. The tonnarelli is cooked al dente and it has the right balance of pecorino and black pepper. The sauce is creamy and delicately coats the pasta. For €9 it’s one of the best deals in town and only a short walk from the Vatican. 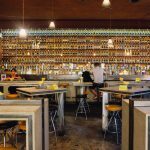 Sora Maria e Arcangelo is an Olevano Romano culinary institution where Roman and Laziale osteria and trattoria classics are given a special touch by local chef Giovanni Milana. Olevano Romano is a short drive from Rome that is famous for the revival of Cesanese red wines. 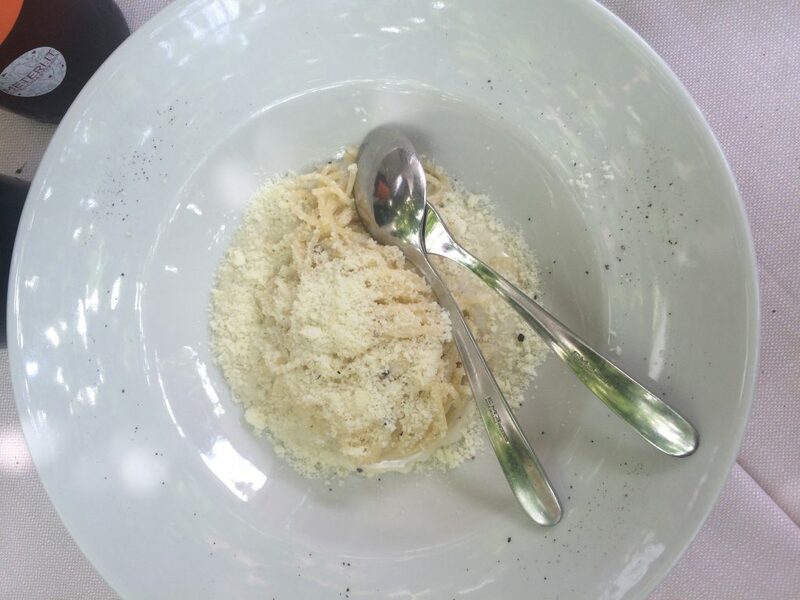 Chef Giovanni takes meticulous care in sourcing ingredients, which is why his cacio e pepe is particularly special. The pecorino is locally sourced and the pasta is made perfectly al dente, as it should be. Three different types of peppercorn are crushed, giving it a more pungent and round taste. I have eaten this plate dozens of times, and it never fails to delight in its simple yet decadent creaminess. The sharp and salty, peppery dish pairs perfectly with a local Cesanese. I suggest Damiano Ciolli’s Silene or Piero Riccardo and Lorella Reale’s Collepazzo. Both are Olevano Romano Cesanese DOC. Maria of HeartRome says: My favorite cacio e pepe is at Da Enzo in Trastevere. The pepper and pecorino they use here is all prized produce and their version is creamy without being overbearing. 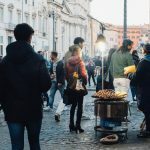 You can’t beat the atmosphere here – it’s your classic hole in the wall trattoria that sits on one of the neighborhood’s more quiet streets in the real authentic heart of Trastevere. 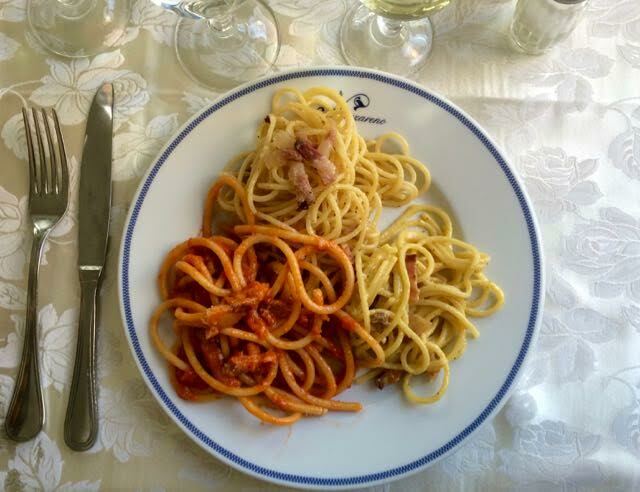 For more tips, check out Maria’s guide on where to eat in Trastevere. 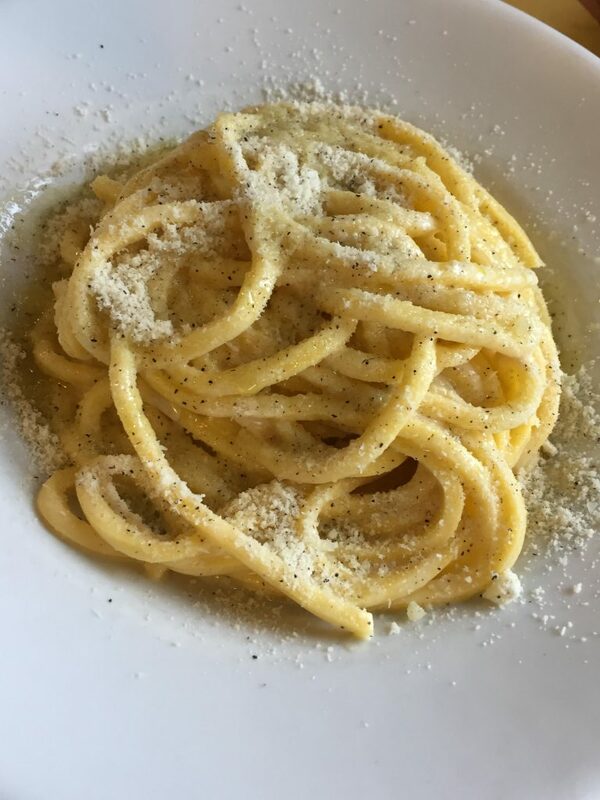 Lying along the vibrant pedestrian thoroughfare in Rome’s hip and rapidly gentrifying Pigneto neighborhood, Pigneto Quarantuno is a gem that excels at Roman classics and serves up one of the city’s tastiest bowls of cacio e pepe. 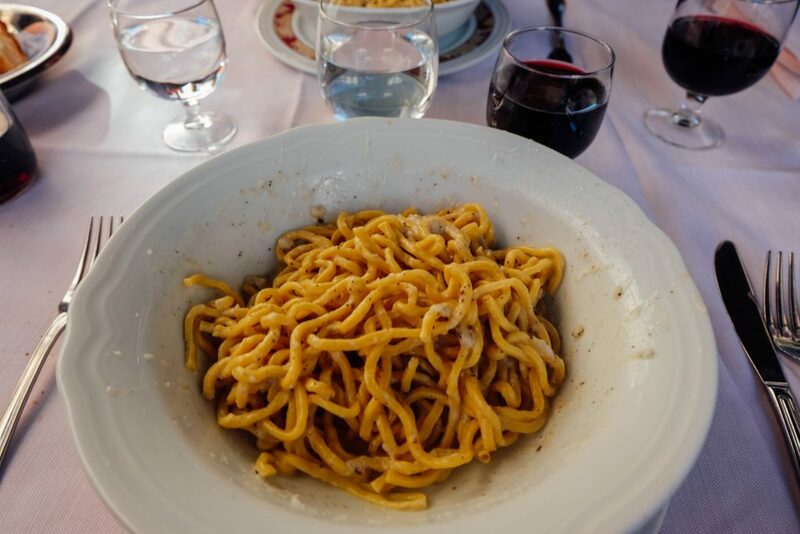 Each noodle is perfectly coated with a velvety pecorino sauce that is spiced just right and there is no hidden parmesan flavor lurking within the dish (too often restaurants mix the two cheeses but I’m a pecorino purist!). The relaxed, rustic vibe rounds out the entire culinary experience: Pigneto Quarantuno is a cozy spot that manages to strike a balance between traditional trattoria and intimate eatery and has an excellent wine list to boot. My favorite cacio e pepe in Rome is at Cesare al Casaletto. I bet you got this response from many. And it is really, objectively good, especially if you like the creamy version like Leonardo makes. The secret is very hot and very starchy pasta cooking water that you mix with very finely grated pecorino. By the way, since I do not cook a hundred portions of pasta at home, to achieve that starchy emulsifying water, I cook up a small batch of pasta till it is totally, completely overcooked and then save the water to use as my pasta cooking water for the next few times (I fill it into an empty bottle and store it in the fridge). But the real reason why i think it is the best in the city is actually another one: Cesare is for me the quintessential trattoria, I have been going for years, I know the family who runs it down to the daughter’s school progress, they know me down to the last trip i took, the same waiters have been there for years, and i just feel at home. I love going there for Sunday lunch with friends and sitting for 4 hours, just having delicious food. And for me very important, they have the best natural wine list of any trattoria in Rome. So in the end you could say the cacio e pepe I eat there is the best, because I feel the best, the most comfortable and happy when I eat at Cesare. Roman kitchens have so many techniques for achieving the creaminess of their desired condiment, including (like Felice and Flavio) using olive oil. In Flavio’s version it’s barely perceptible, while Felice’s use of oil is oppressive, intruding on the savory flavor of the dish. While I do enjoy Flavio’s version, recently I am partial to Roscioli’s, which is more complex. Chef Nabil Hassed uses a healthy dose of Parmigiano Reggiano with Pecorino Romano (a greater proportion in fact than Flavio uses in his version). The Parmigiano Reggiano delivers a nutty undertone which mingles with the salty sheep’s cheese. The choice of several black pepper varieties is designed to bring diverse flavors and aromatics to the dish. In a lot of ways, Hassed’s versions of Roman classics are more elegant and intellectual than the standard and his cacio e pepe is no exception. Gina, of Casa Mia Italy Food and Wine tours, votes for Augustarello’s version of the Roman classic. For me? It’s La Torricella. The local Testaccio restaurant is best known for fish, but they do amazing versions of classic Roman dishes as well. I like to go for lunch and reserve a table outside when the weather is just right. Here, they make cacio e pepe with fresh tonarelli pasta. Perfectly cooked, the pasta arrives at your table unadorned. Out comes a glove, a chunk of cheese and a huge pepper mill. The waiters grate the pecorino with a flourish, piling the cheese on top of the pasta before quickly tossing and swirling the dish to incorporate the sauce. A few healthy cracks of the pepper mill and you have a steaming plate of cacio e pepe placed in front of you. The table side preparation is amazing to watch, and I would argue that there is no fresher plate of cacio e pepe in Rome. 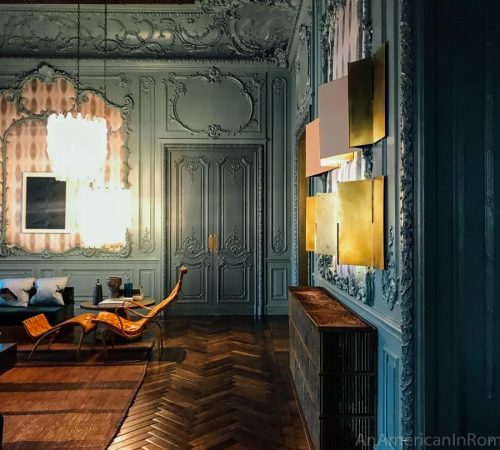 And if you are sensing a Testaccio theme here, the winner is…. Referenced by Katie above, and mentioned by many in conversation, Flavio al Velavevodetto may very well have the best cacio e pepe in Rome. 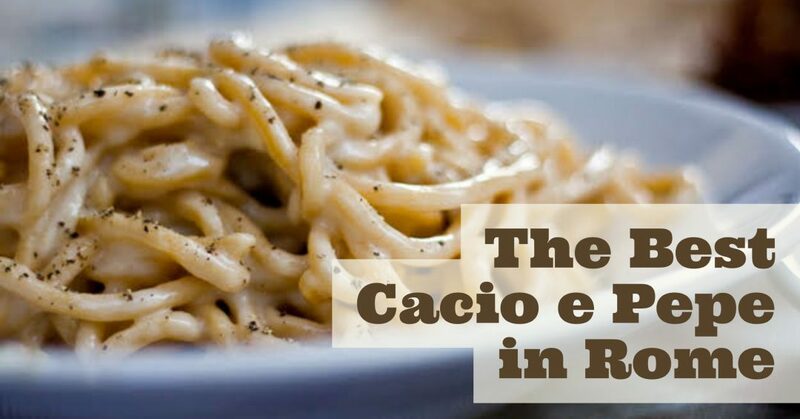 Elenora, a Roman foodie who shares her passions via Casa Mia Italy Food & Wine, says the best cacio e pepe in Rome can be found at Flavio’s. and the Eat Italy app, agrees. The Cacio e Pepe at Flavio is the best in my opinion since it reaches the perfect creamy consistency, without being too sticky or heavy. Also, since Flavio lets the pepper sit with the pecorino overnight, the pepper is a true ingredient, and not just an added afterthought as it is in so many other restaurants. 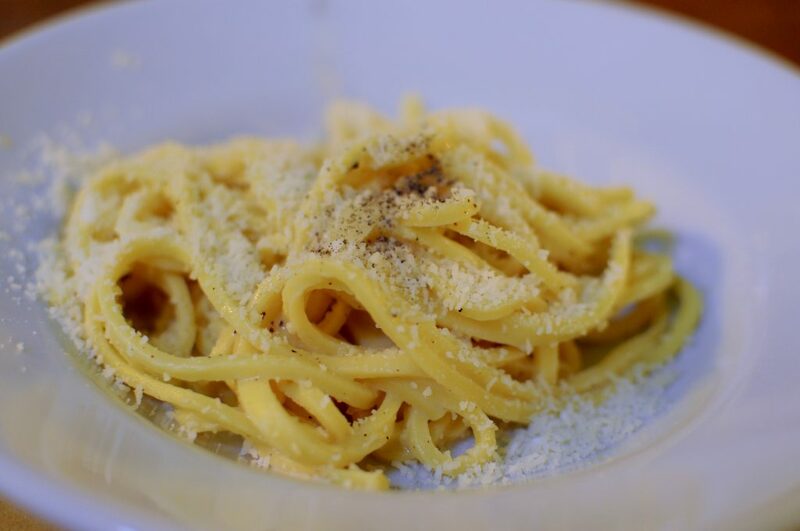 Cacio e pepe is a must on any trip to Rome. The question is – where are you going to eat it? In november I was in Rome for a meeting and went to eat at Trattoria da Luiggi near the Vatican. Do you know it? I ate an Amatriciana pasta (bucatini) and was very tasty. My collegues opted for a cacio e pepe and they said it was perfect! Do you know that places? I found it very good, for the price too. I have NOT tried da Luiggi but I will have to now if you recommend it! I am always looking for good places around the Vatican. Thank you! It took me days to put this together because I got too hungry every time I looked at the photos. Good luck with the Roman job hunt — worth it for the pasta! I gess you forgot Roma Sparita in Trastevere. Cacio e pepe beautifully made in crust. Ah, Roma Sparita, of A. Bourdain fame…the place he tried to keep secret. We figured it out in a Roman minute. That was how I found it as well! Did a little out of the box sleuthing did you? BTW was just in Roma. Have you tried Ditrambo, near the Chancelleria ? I can not tell you how much I love this dish! We were visiting Rome over a birthday trip and a friend with connections got us rooms at the Cavalieri! We had gone out for a few dinner meals around Rome but one day we decided to have lunch out on the terrace at the hotel. We saw this dish we hadn’t experience before. We all 3 ordered it and the love was instant! Not sure how that particular restaurant rates in the list you’ve compiled but it was sublime and so memorable that we just had to learn how to make it at home. Of course we can’t come to matching but we do have a new appreciation for this simple dish. 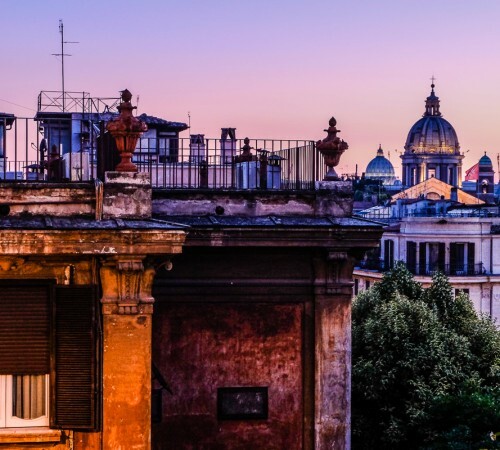 I can almost imagine being on a quest next trip to Rome and trying a new place on your list every day! Was this at L’uliveto? By the pool? I had a lovely lunch there but I didn’t try the cacio e pepe. It is one of my favorite Roman dishes! And I think that a trip to Rome to sample a new one of these recommendations every day would be a fantastic idea! We weren’t by the pool, just right outside on the patio from the dinning hall. We loved staying there(duh! ), especially with the Grappa Cart that kept showing up every evening near our seats in the lobby. You’re right, we do need to make it back to Rome and earmark your list! Roma Sparity, Piazza Santa Cecilia, has my favorite version of this fabulous dish! Great list! 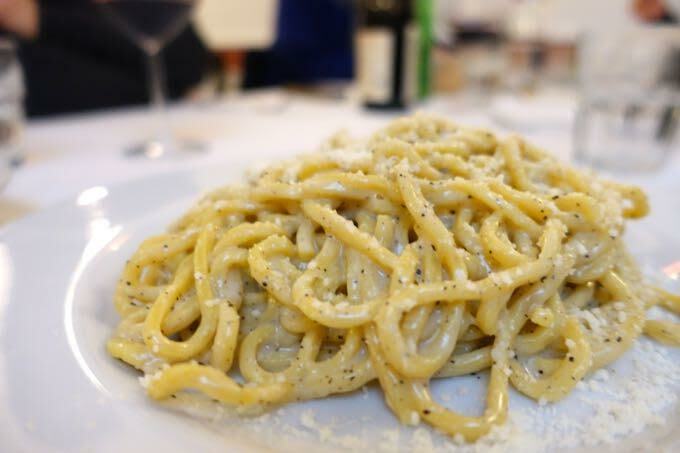 Da Felice and Flavio Al Velavevodetto are probably my personal favourites, but I recently had cacio e pepe at Taverna Romana (Monti) and it was incredible. It wouldn’t have occurred to me to try cacio e pepe at La Torricella, just because I always order fish when I go there. I’ll have to give it a go…. Hahah, Maria – I know the feeling. Sometimes you want to keep the secrets all to yourself. I will have to try the place-that-shall-not-be-named if it comes so highly recommended by you both. AAAA making crave another trip to Rome, and pasta. (watching for the flights to go down. form U.S. )but till than I might just try making the dish myself at home, my favorite pasta is angel hair or vermicelli , Think it would come out decent if I used one of those pastas ? or should it be a thicker pasta. 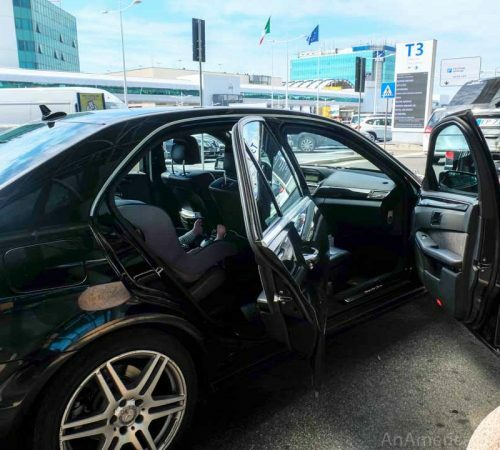 Ciao Dena! It is traditionally made with slightly thicker pasta because the sauce itself is so thick with cheese that it would weigh down some of the others.